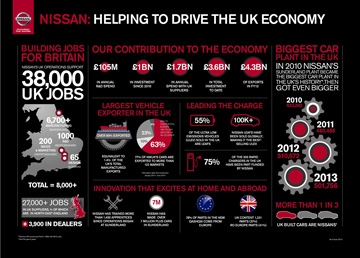 We are delighted to announce that Nissan Manufacturing UK (NMUK) has kindly agreed to host a tour of its car manufacturing plant in Sunderland, one of the most efficient car plants in Europe. The NMUK plant was opened in 1986 and became the sole supplier of the Nissan Bluebird to the UK market. Ongoing development has brought the plant to today’s impressive employment figure of circa 6,700 direct staff and production of over 7 million vehicles. The plant currently produces the Juke, Note and Qashqai models as well as being the European manufacturing location for the Electric Vehicle, the Nissan Leaf. 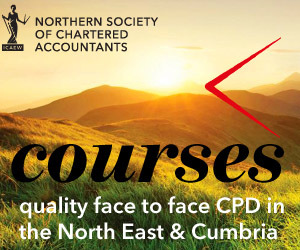 Head of The Journal’s Top 200 North East companies 2014 for the fourth year running, this is an excellent opportunity to visit one of the North East’s biggest employers. The visit at its plant just off the A19 on Washington Road, Sunderland, will comprise a mini plant tour followed by a question and answer session. The event should last approximately two and half hours. The visit is free of charge but, due to the nature of the business, numbers are strictly limited and bookings will therefore be allocated on a first-come-first-served basis. wear sensible shoes on the plant tour for safety reasons; any other safety kit will be issued by the tour guide. check-in at the main security gate. You will then be directed for both parking and an on-site meeting point. Please be aware of traffic conditions on the A19 at that time of the day! Unless all places have been taken beforehand, the closing date for online bookings is Friday 8 May 2015.